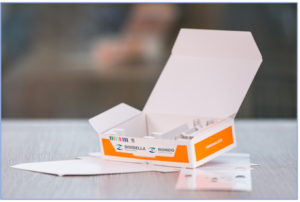 Grabs, Switzerland: –Parenteral packaging specialist Dividella will show how its modular packaging solutions and services meet emerging pharma industry needs at the Pharmapack Europe 2019 expo in Paris. Dividella will be part of a combined presence, uniting the Swiss-based TOPLoading specialist with sister company Rondo Packaging and their parent group Korber Medipak Systems on stand number G66 at Porte de Versailles . The display will show how Dividella’s unique platform concept in modular toploading machinery and packaging formats can combine with Rondo’s creativity in developing innovative paperboard packaging forms to enable integrated functional solutions that can be produced efficiently on Dividella’s modular packaging machines. Depending on customer requirements, these packs can be produced manually, semi-automatically or fully automatically. The stand will point to recent development by Rondo and Dividella that ensure their solutions deliver maximum productivity and also answer increasingly complex industry and regulatory requirements. These will be presented under the themes of Software, Consulting, Materials and Machinery, emphasizing concepts like Smart Packaging, Supply on Demand, Serialization, Aggregation and Track&Trace. Combining these elements allows the creation of Pharma 4.0 solutions like Augmented Reality (AR) packaging that communicate with the end-user, supply chain, after sales support network and even the original packaging lines (see video). Dividella’s modular platform concept supports these capabilities by allowing customized automation solutions to be built into the packaging, allowing process element such as carton forming, carton transport, item feed, item handling, pharma-standard code and presence checks, insertion of patient information leaflets and the application of variable data to be incorporated into the total packaging solution. Dividella will also be able to show quantified advantages of being able to adopt 100% monomaterial packaging and the flexibility to handle lot sizes ranging from single items to high volume. Headquartered at Allschwil in Switzerland, Rondo AG is known as a specialist in creative packaging and is able to cover all the stages in the process of producing an optimal packaging solution. These include pack development, pre-print, print, embossing and stamping, gluing, code checking and quality assurance to GMP standards and DIN ISO 9001/2000. Founded in 1934, the company employs some 350 people and has production locations: Switzerland, the Czech Republic and the USA. As technology pioneers in folding box techniques and materials, Rondo specialises in innovative and future-proof packaging solutions for the pharmaceutical industry that meet multiple issues such as counterfeiting or tamper evidence, child-safe or senior-friendly packaging, top loading demands, GMP compliance and supply chain efficiencies. The Korber Medipak Systems Group unites eight companies with complementary expertise in pharmaceutical packaging and a shared mission to provide integrated system solutions that enhance efficiencies, customer satisfaction and profitability across the entire pharma and biotech value chains. Combining Dividella (parenteral packaging), Rondo (secondary packaging), Fargo (contactless transport), Mediseal (blister and cartoning solutions), Seidenader (inspections systems), Traxeed (serialization), Werum (IT solutions) and Systec & Services (track & trace solutions), the Korber Medipak Systems Group employs more than 1,800 people at 25 sites with 50 additional Sales & Services partners worldwide. Pharmapack Europe 2019 will again combine an industry exhibition with a full conference and technical symposium program, along with the Pharmapack Awards recognising outstanding achievements in two categories: innovative Health Products and Exhibitor Innovation, recognizing outstanding products or displays from the exhibition floor. The event is organized by UBM Live with further information at http://www.pharmapackeurope.com. Click on Dividella at Pharmapack Europe 2019 for more information. Click on Medipak Systems for further information on Korber Group. Click on Rondo Packaging for more on Safepack and Supply on Demand solutions.